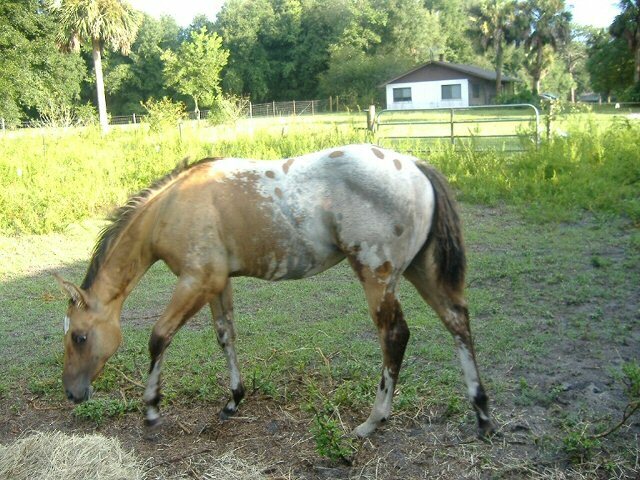 Check out the mares page to view mares we have for sale! This is Jasper. He was foaled 3/31/06. 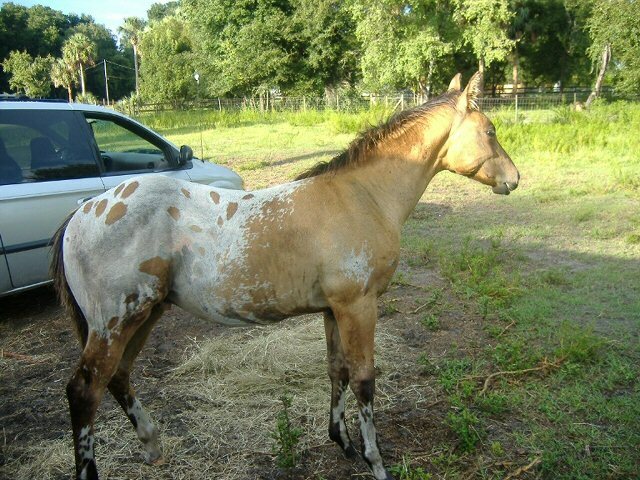 He is a dun colt, he has tiger stripes on his legs along with flashy white markings. 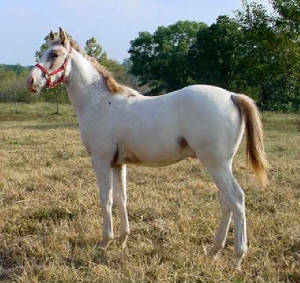 He is a large colt and should mature to 15.2 or more. His sire is Dial M for Moolah who stands 16.2 and is at Crooked Post Appaloosas in Missouri. 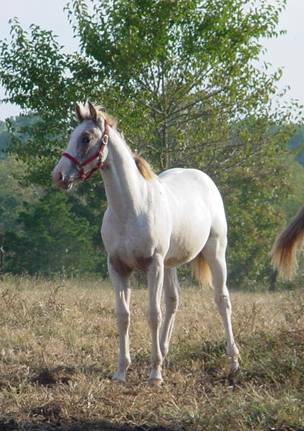 His dam is Zips April Shado who is on our mares page. She is a black granddaughter of Ha Dar Shado. Her mother is a daughter of Impressive Sunset. Jasper has wonderful movement and great looks.